Discussion in 'Announcements' started by Lady Marlena, Jan 8, 2019. Lead your team through the championship and upgrade your Colossus to the maximum level! The InnoForgers make their triumphant return! Cal Rogers joins us again this year, to help his team, the InnoForgers, to victory in this years Forge Bowl! 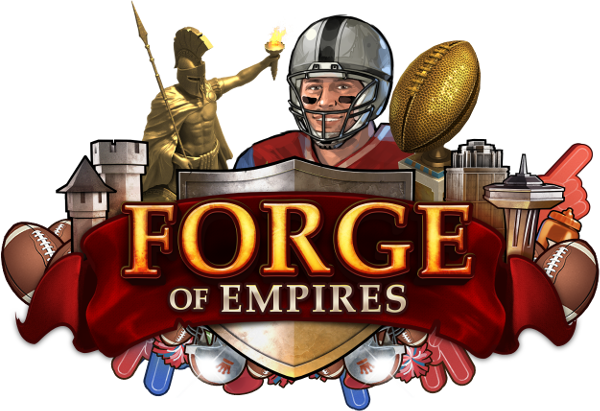 The Forge Bowl will start on the 15th of January and will run till the 3rd of February 2019. Your goal is to reach the end zone and score a touchdown, giving you the opportunity to win the coveted Touchdown Reward. Move your team forward 80 yards in order to score a touchdown, pushing your opponents down field towards your prize. To accomplish this feat, some tactical play is required! 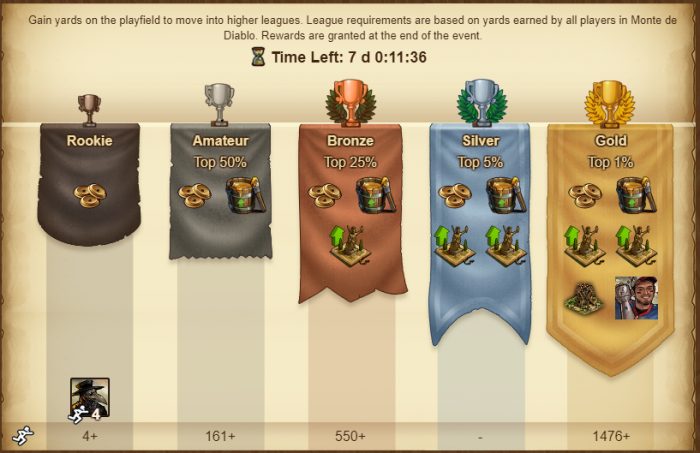 Choose the best tactic to advance, whilst earning some awesome rewards at the same time. 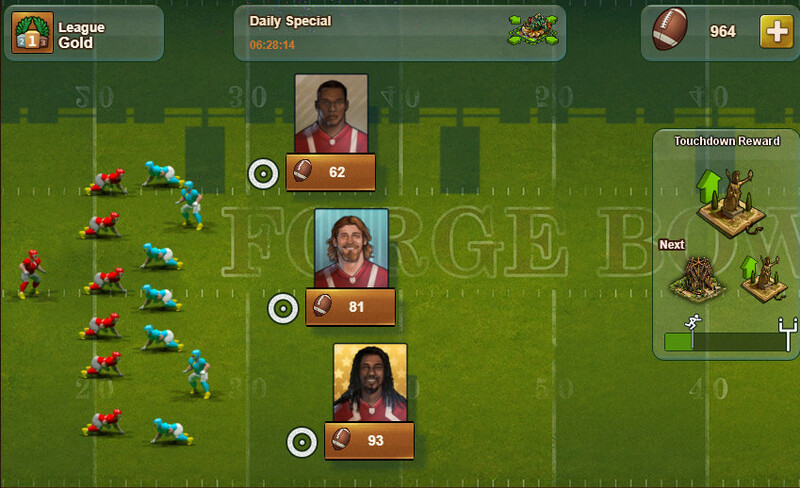 To start the game, select one player from the field to advance towards the end zone. Each player gives you a different reward for choosing him, and each play requires Footballs, which you earn via quests. You will be able to complete 30 quests immediately, and then you will receive one quest per day until the last day of the event. You will also get a free event currency quest per day to receive additional Footballs. For every yard you move forward, your rank in the League will progress. With higher ranking comes better rewards! At the end of the event, you will receive additional special rewards based on your ranking. It's definitely worth trying to aim for a higher rank to gain access to some awesome extra rewards! But be aware, you're not alone! All other players from your world are competing with you within the league. This means that the requirements for each prize will fluctuate as the event progresses. Make sure, that you always score enough yards in order to not fall in ranks. With the Forge Bowl 2019 we're also introducing some new exciting buildings! The Colossus can be upgraded to level 10 and has a size of 4x4. The higher its level, the more and better bonuses it gets. To upgrade the Colossus you will need the Colossus Upgrade Kit. You can get the Colossus - Lv. 1 and some upgrade kits from the questline, as well as the Touchdown Reward, but it won't be included in the Daily Specials. Once you upgrade the Colossus to level 10 it will grant you Coins , an Attack Boost, Population and if motivated also Medals and 6 Forge Points. 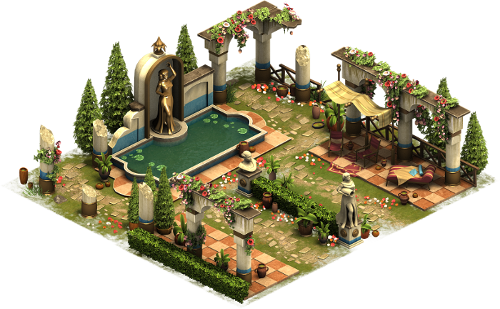 This set contains 3 different buildings: The Classical Garden Pool (4x2), the Classical Garden Patio (2x2) and the Classical Garden Statues (2x2). They provide different boosts for Coins, Supplies, Attack and Defense and also give goods. You can get the buildings for the Classical Garden Set as a Daily Special. Your feedback is always very important for us, so don't forget to comment here! FelixPSY375, Chalinna and Neo Consumer like this.